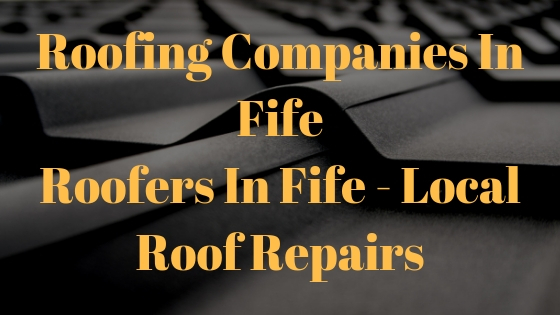 Are you sourcing the internet to find a roofing company in Fife that you can trust? But you are maybe asking yourself … well how do LC not know who is best? Each individual has different opinions as to what can make something the best, so we can only give you our opinion/recommendation on roofing companies in Fife. Our goal is to help you evaluate roofing companies in Fife so that only you can make a decision on who you want to work with. Knowing the right roofer to hire for your home can be a challenging and confusing task. Below is a list of helpful tips to assist you in choosing the right roofing contractor in Fife and getting the best service for your money as that is what everyone expects. You need to make sure that your roofing company in Fife has valid employers liability insurance and public liability insurance. If you would like to check these are valid then you can always ask the contractor for a copy of these for your own benefit. When choosing a contractor, some people think that choosing a local contractor is the best idea, but is it? This means that they are not just operating locally, but have an established business and reputation in the community. Never choose a company based on price. Cheap quotes drive down the market and anyone with overhead and proper insurance has to establish pricing to cover such costs. Those that do work on the side or are just working out of a pick-up truck can always do the work cheaper. But in the long run, you get what you pay for. Customers that are sold on price as their sole criteria ultimately end up spending more money to fix problems, and many of these problems would have been covered under a workmanship guarantee by a reputable established roofing company. Both belong to you and you should be in control. Make sure that you are satisfied with the result and that the terms of payment were discussed prior to the job and adhered to by both parties and signed. There are a lot of companies who will provide a payment schedule and this is recommended, for example – when scaffolding goes up a payment is made and then payment on job completion or in stages, depending on how large the roofing job is. Companies need to cover their back as too many companies can get stung from non payments. Did they return your calls? Did they send the documentation that you asked them to send? By post and email. If you answered “no” to these questions, then make sure you communicate your concerns to the company representative. If they still can’t make good, walk away. Communication is key to every business. If you aren’t getting what you need on the front end when they are trying to get your business, what will happen once you have committed the work to them? Below is a list of the types of roofing work we can carry out for you throughout Fife. We can offer roofing solutions with a variety of materials and methods including the installation of custom-made roof trusses before applying the covering of tile, slate, felt, fibreglass or rubber membranes. We understand the financial commitment of a new roof, we can offer finance – just ask for more details! But our experience ensures that you will be protected from all elements of adverse weather, and it will look great as well. Get in touch now with the roofing specialists for a free quote – 01592 747047! I respect this article for the all around scrutinized content and superb wording. I got so included in this material that I couldn’t quit perusing. I am inspired with your work and expertise. Much thanks to you to such an extent.